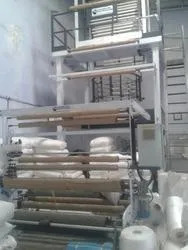 Established in the year 2009, in Ahmedabad (Gujrat, India), we “Dhanshri Polypack” are known as the reputed manufacturer of a premium quality range of Liner Bag, Packaging Rolls, HDPE Film, LDPE Sheet, etc. The offered products are widely known for their unique attributes like durability, light-weight, tear resistance, perfect finish, moisture proof and high strength. 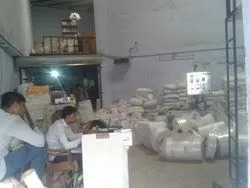 Our offered products are used in retail packaging, industrial packaging, food packaging, advertising and promotional plastic packaging as well as agricultural plastic packaging. In order to cater to the special requirements of our respected clients, we provide these products with several specifications. We are backed with the state-of-the infrastructural unit that assists us to manufacture these products with optimum quality. Furthermore, this infrastructure is categorized into several sub-units like procurement, manufacturing, quality control and warehousing & packaging. We have facilitated ultra-modern tools and machinery in our infrastructural unit helps us to fulfill the specific demands of our precious clients. To maintain the entire work in a systematic manner, these processes are supervised by our skilled professionals who possess rich industry experience and knowledge. Our team of professionals makes sure that the provided products are manufactured in conformity to predefined quality standards. We are also backed well-equipped quality testing unit for the testing of the offered product range. Our transparent dealings, easy payment options, ethical business practices and timely delivery have made us the foremost option of our respected clients. Backed by a team of sincere and trained professionals, we are engaged in providing high quality range of plastic products to our clients. We have divided our team into different divisions like skilled professionals, technicians, quality controllers, packaging & administrative experts, R & D personnel, etc. Furthermore, our team of experienced professionals help us in meeting the diverse demands of our clients in the most effective and timely manner. At our well-furnished manufacturing unit, the offered products are manufactured using advanced technology and quality tested raw material. We have segregated our infrastructure into different sections to make all business operations in a smooth way. Installed with the modern tools and machinery, this infrastructural unit assists us to manufacture these products in complete compliance with set industry standards. To carry out an easy production process, we have appointed our team who has immense industry experience and knowledge. We have achieved a highest position in the industry by providing a premium quality array of plastic products. WE also provide these products with customizations to attain maximum clients’ satisfaction.